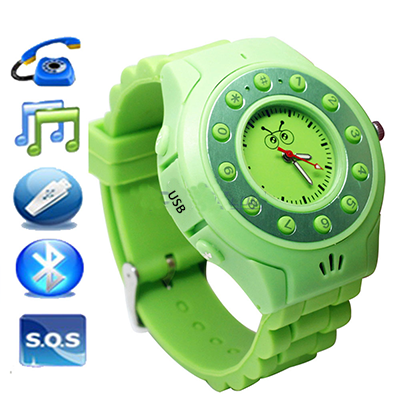 Mobile phone watch for kids or teenagers, providing not only a unique way for your children to make or receive calls, but also a safety GPS tracker for parents so they can always know where their child is or isnâ€™t. Parents give phones to their kids on the hope that if there is an emergency that they will be able to call them instantly. 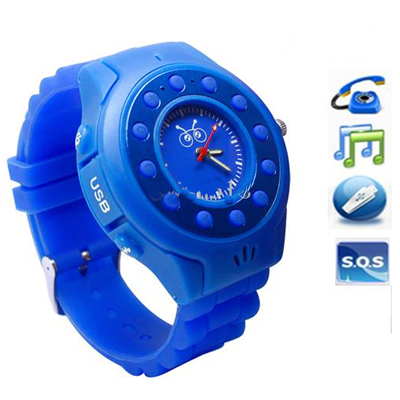 This watch phone comes with a built in GPS tracker, meaning that you as the parents will know exactly where your kid is at any time. Also, you can preprogram GPS locations into the phone watch, and when your child plus the phone enter or leave the designated areas, you will get a message. 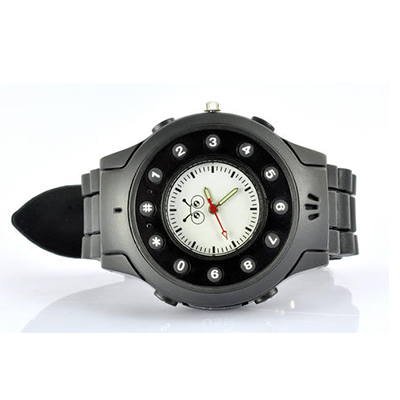 You also can use the watch as an electronic leach for your kids, as when the watch phone is paired to your mobile phone and the distance reaches over 10 meters, you will be instantly notified by a text message. You even get remote parental controls such as the ability to bar incoming and outgoing calls to the watch phone. Finally, kids who are truly in trouble and donâ€™t have time to try and dial your number will have the ability to send instant SOS calls and GPS location to their parents in case of an emergency. Best of all, you as parents never have to tell your kids how you know where they were when they were skipping class, as the watch phone to them is just a cool present given to them that looks cool and works great.